With winter approaching in South Carolina, now is as good a time as ever to start paying attention to your pipes. There is a lot that goes into the freezing and bursting of a pipe. Here are some tips and information about how to avoid freezing and bursting pipes this holiday season. Pipes freeze whenever the temperature gets below the 32-degree mark, but your pipes are most at risk when the temperature drops below the low 20’s. It doesn’t help that southern states are more at risk because when the houses were built, the plumbing was not made to withstand a hard freeze like at northern states. Attics and crawl spaces are at a huge risk during a southern cold snap. Cold air could come through any small opening, even something as small as a cable hole in the wall. When the cold air hits the unprotected pipe, the freezing process begins. What can be done to prevent the pipes from freezing? 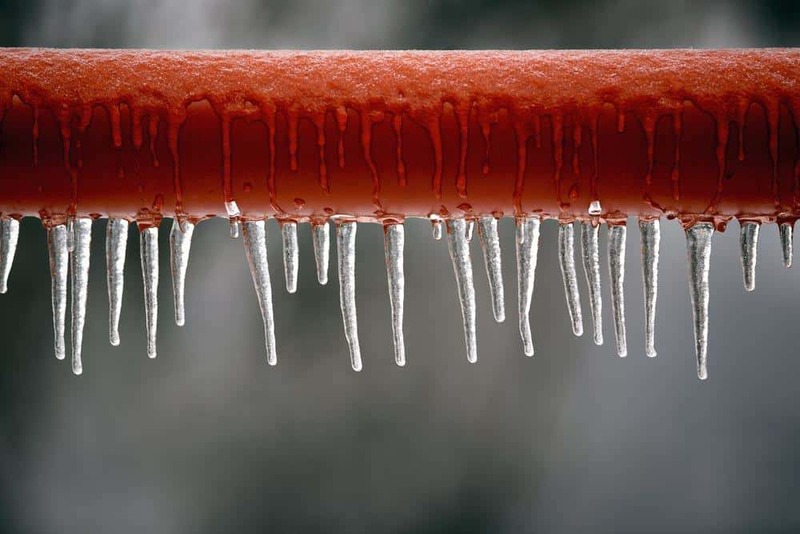 There are a few different ways that someone could protect their house from having the pipes freeze. One that is very well known is to leave the faucet on at a drip. That will keep the pipes from freezing due to the moving water. Another, for people who are about to leave for a vacation, would be to call a plumber and winterize your house before you leave. Kay Plumbing can winterize your house if you are going to be away from home. Remember that if you choose to winterize your house, you must de-winterize it before it can be used again. If you do not de-winterize, then your house can undergo some serious damage. If you wish not to have your house winterized, then you should at least shut off the main water supply for your house and when leaving make sure that the temperature in the house is set at or above 55 degrees. Now as a last resort we recommend the use of electric heating tape, which could be found at almost any hardware store. What to do when the pipe freezes or bursts? Well, you tried to prevent this, but it happened. There is no water coming out of the faucet. What do you do next? Your first step would be to call Kay Plumbing and explain your situation. We can offer advice for your specific problem and determine if we need to come on site. You should try to shut off your main source of water (usually found at the water meter) to prevent further damage. Remember that pipes made of PVC, CPVC, and copper are all at risk. The only pipes that do not freeze as easily are called PEX pipes, which are made from Polyethylene. This type of pipe will freeze but it expands which helps to keep the pipe from bursting. All frozen pipe repairs that Kay Plumbing does are replaced with PEX pipes. Now that is peace of mind!